A plethora of lush green landscapes covered in a veil of thick mist descending from the mountains and dew drops forming on flowers as they bloom—this is what monsoon brings to Coorg. Nestled deep within the verdant hills of Coorg, Orange County is one of the most luxurious resorts to revel in the blossoming monsoon time. Surrounded by untouched forests and enclosed amid 300 acres of coffee and spice, and bordered by the river Cauvery and the sprawling Dubare Reserve Forest, Orange County offers you a chance to experience plantation life reminiscent of a bygone era. 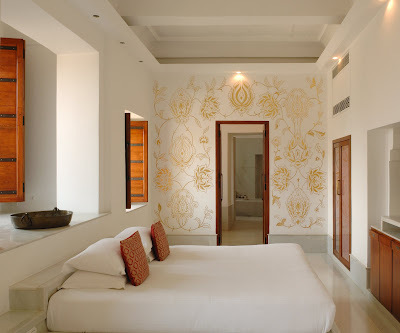 Designed to seamlessly fuse modernity with ethnic local architecture, most of the rooms come with plush interiors replete with four-poster beds, minimal décor, wooden furniture, elegant furnishings and cosy fireplaces. For a true taste of luxury, try and grab their Private Pool Villas that come with a separate living room, an en suite bedroom, a courtyard and your very own personal swimming pool. In addition, there are also two lovely sit-outs, complete with planters' chairs to catch up on a book while enjoying local filter coffee. This quaint resort makes for an ideal getaway from city life with its calm and relaxing ambiance, supported by a hospitable staff. To truly submit to nature’s realm, you can enjoy a peaceful walk through the vast plantation. While here, don’t miss the delicious local cuisine and the filter coffee that Coorg is renowned for. Activities: The excursions include on-site activities like coracle rides on River Cauvery, guided bird watching and nature walks. Whereas, the off-site activities range from a visit to the Bylekuppe (a Tibetan settlement and monastery), Dubare Elephant Camp and Madikeri, a misty hill town that houses the relics of the Kodava Kings at the Mercara Fort and Raja's seat. Amenities: Aside from a range of restaurants that serve not only local cuisine by a variety of South and North Indian food, the resort also has a bar and a coffee lounge where you can lie back and pick up a book from the library while enjoying your cuppa. Fitness enthusiasts can avail of the gym and pool. An Ayurvedic Spa completes the much-needed respite a vacation provides. 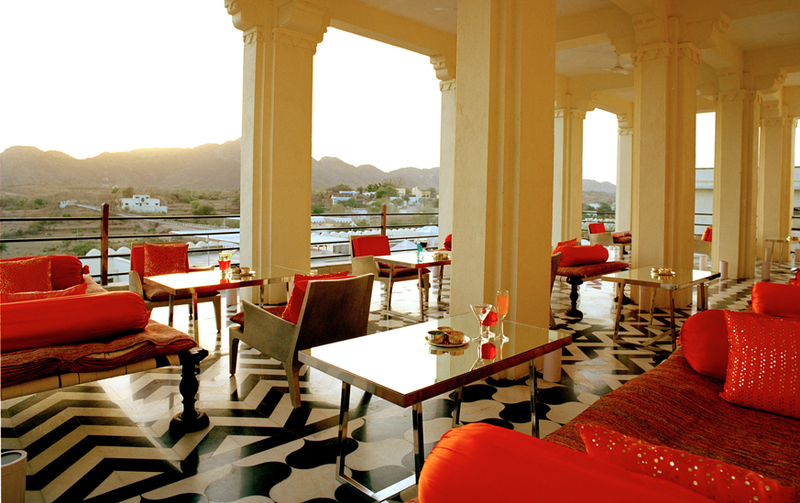 Better known as the wedding destination for Hollywood actress Elizabeth Hurley and India-born businessman Arun Nayar, Devi Garh Palace promises a romantic monsoon escapade. Plus, if you’re the kind of traveller who enjoys watching dew drops whilst sitting amid cosy indoors, then it doesn’t get better than the this. Situated a mere 28km away from the vibrant city of Udaipur, this sprawling property replete with numerous lounges, courtyards, terraces and gardens is cradled in the Aravali hills. This 250-year-old exterior of 18th century fort palace of Delwara has been duly conserved giving it an old-world charm. And nothing spells romance like colonial grandeur in a mesmerising palace, laden with exquisite decor and elegant furnishings. So soak into dreamy, romantic moods of vivacious Rajasthan and lay back into an ambience of tranquillity watching dew drops pass you by. 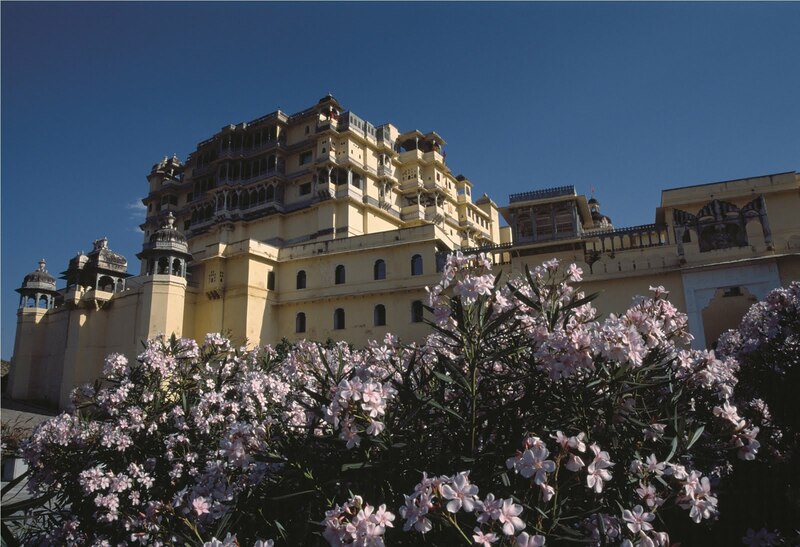 Activities: Explore the gallant Aravali hills region surrounding the hotel on bicycles, provided by the hotel. You can also head out for a trek amid the verdant hills or try a camel or horse safari. Early risers can rejoice as the hotel provides a fulfilling packed breakfast to carry en route. Trips to the nearby village of Delwara as well as the 14th century Jain temples are also arranged. Alternatively, you can also take a mini excursion into Udaipur city and survey the city’s local sights together with its vibrant bazaars that are a shopaholic’s delight. Amenities: In addition to the 39 lavish suites, this palace hotel also houses a multi-cuisine restaurant and bar, along with facilities like a swimming pool, business centre, library, kids activity centre, gymnasium, as well as baby sitting and day care services. You can opt for international cuisine or sample the authentic Rajasthani cuisine, such as dal baati churma and laal maas. You can also unwind at the spa and pamper yourself with a range of Indian and Mediterranean treatments. Picture this: you’re living in a space created in between a bunch of trees, surrounded on all four sides by nature and fluttering birds for a view, all at a height of approximately 65ft above the ground. Add to this a light drizzle announcing the onset of monsoon. A tree house is the perfect getaway. Kerala is replete with tree houses, usually placed in the midst of forests surrounded by tea, coffee, cardamom or pepper plantations. But for an indisputable luxurious experience, Green Magic Resort is truly superlative. Spread over an area of 15 acres within Fintser Hills, Wayanad, Kerala, their tree houses are made using raw materials sourced from the local markets, such as coir mats, bamboo poles and hay straws keeping with the norms of preserving an eco-friendly environment. 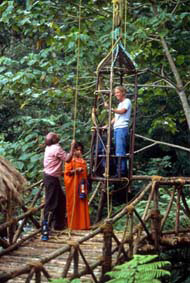 The tree houses can be accessed by a water counter weight crane lift. Apart from binding you with nature, it also offers you the desired privacy and proves to be a great stress buster. You can sit in the balcony listening to the spellbinding music of the delicate raindrops or catch up on that book amid the sounds of nature. It is also an ideal destination for a honeymoon as it offers privacy and comfort coupled with quiet and romantic surroundings. Activities: For outdoor fun, you can hop onto the traditional swings, lie back on a hammock or play volleyball, carrom and badminton. If you want to indulge in nature’s bounty, you can go trekking and witness perennial streams, natural wading pools, while identifying flora and fauna, bird watching, horse riding and boating. 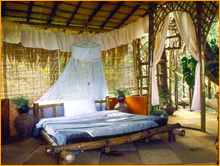 Alternatively, you can enjoy an elephant safari or explore a tribal village and herbal garden too. The resort also arranges a series of activities like a visit to Pookode Lake, Edakkal Caves, Thirunelli Temple, Soojipara waterfalls, Kuruva Island and Ambalavayal tribal museum. 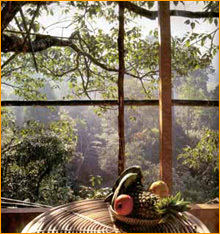 Coffee, pepper, tea and cardamom plantation tours can also be arranged. Amenities: All the tree houses are equipped with all the modern amenities required like beds, bathrooms with fully-equipped toilets, including running water and shower, and 24-hour room service. Be sure to relish mouth-watering local delicacies in their in-house restaurant that is prepared with vegetables and fruits grown in the hotel's organic farm, served on banana leaves, traditional Keralan style. All photographs were sent by the respective hotels. Published in Time 'n Style magazine's July-August 2011 issue. New here to your blog. Nice to find a good travel blog. Thank you :) shall check out yours too.